The 2018 Yuba-Sutter Home and Garden Show went well this year! We gave away one prize box each of the three days we were at the Home Show. The prize box included a Lennox branded Carhart tool bag, and R.B. Spencer, Inc hat, The Billy Goat Chip Company chips, and more Lennox accessories. 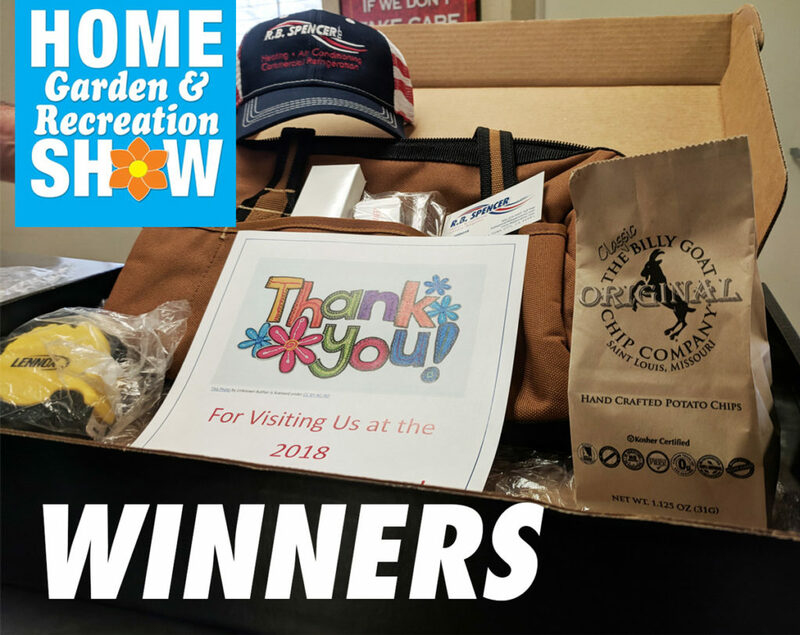 Thank you to all of you who came out to the Home Show this year and congrats to our winners.